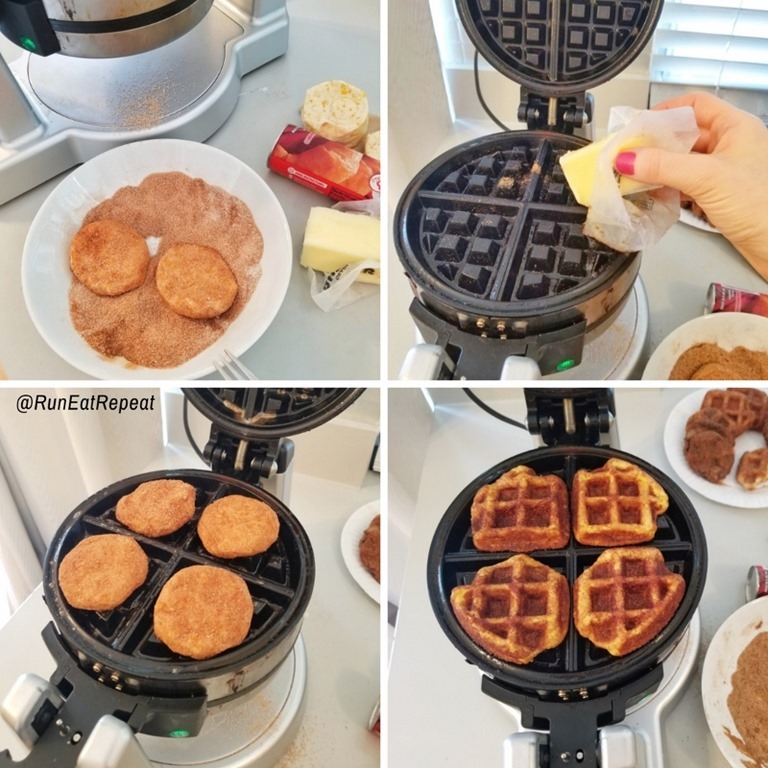 This is a super easy life-hack style way of using your waffle maker. And it’s not healthy. But it’s delicious! 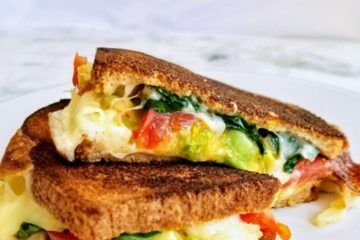 So try this delicious recipe as a special breakfast or brunch treat and enjoy! I used refrigerated biscuit dough, sugar and spices and butter. That’s it! 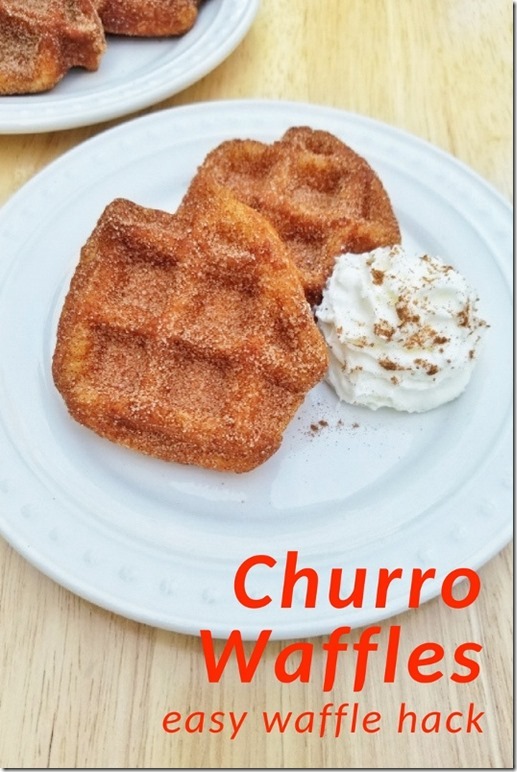 I got the idea when I tried the delicious churro waffles at breakfast in Seattle. 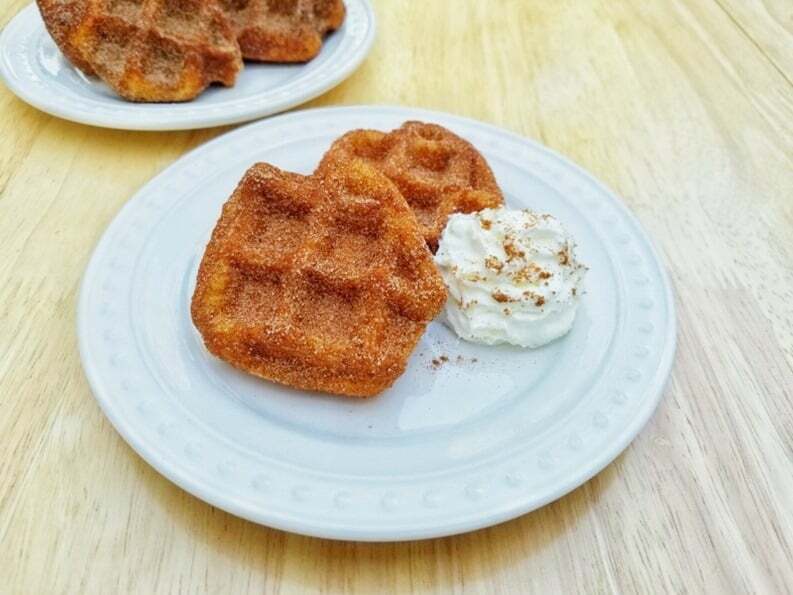 It was inspired by a gif I saw a long time ago that used refrigerated cinnamon rolls and cooked them in a waffle maker to make cinnamon roll waffles (that should be the next thing I make!). 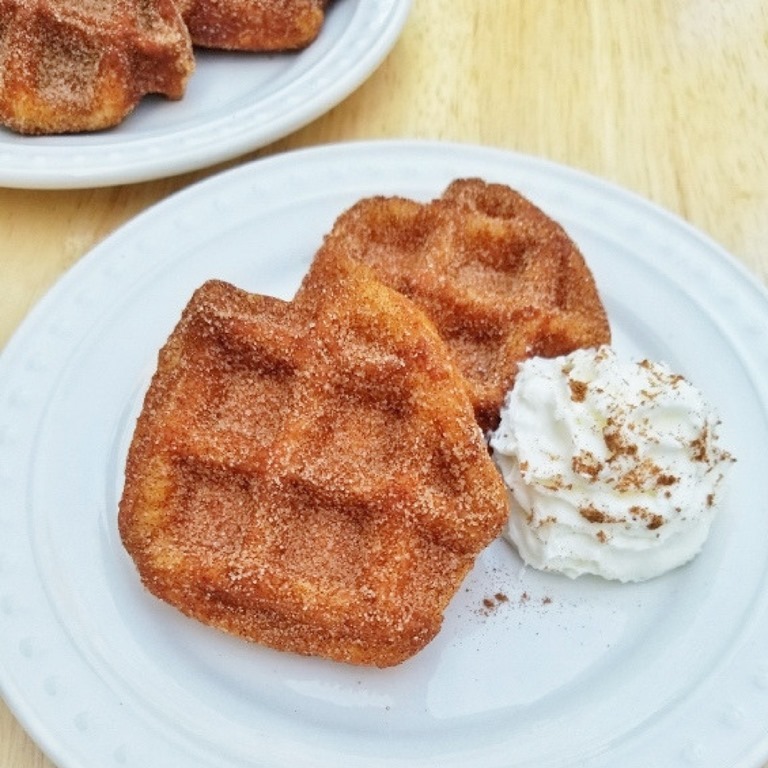 Well – I figured that lil recipe hack would work great to make Churro Waffles since I’d be coating them with cinnamon and sugar (so the dough doesn’t need to be sweet). And yep – they were amazing! 2. I used pumpkin pie spice and cinnamon on the best batch of waffles. It was delicious and took the flavors to another level. 3. I used a stick of butter to grease the waffle maker by holding it in the wrapper and wiping it all over the inside of the hot waffle maker. This works great to grease pans too. I know you don’t necessarily have to grease most waffle makers that much but the butter helps caramelize the sugar and cinnamon on the waffles. Directions: Pre-heat waffle maker according to machine’s directions. When the waffles are done – immediately place them back in the cinnamon sugar bowl. Cover well on all sides. If you have leftovers – refrigerate them and re-heat by carefully toasting in a toaster oven. But they are best fresh. I’m not sure if there’s a way to save extra refrigerated biscuit dough but if there is … I’d suggest saving the dough and making a fresh batch if you know you’ll have extra. Want another Easy Waffle Hack? I’ve made waffles with whole grain bread and an egg mixture! They’re a healthy take on waffles and French Toast combo! >>> Follow @RunEatRepeat on Instagram for the latest fun, food and your questions & answers! 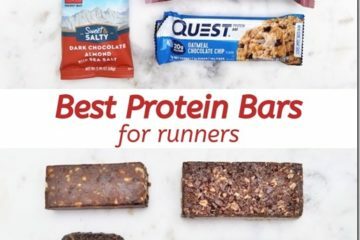 >>> Check out the Races Discounts and Deals page for coupon codes on upcoming races! When was the last time you had waffles? Do you usually prefer pancakes or waffles or French toast? Oh good gravy those look delicious.